A superior, slightly underrated improviser, Jack Wilkins has proven on his infrequent recordings as a leader that he ranks near the top. 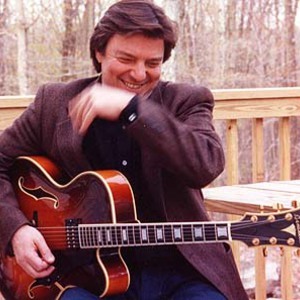 Wilkins, who studied with John Mehegan early on, learned vibes, piano, and classical guitar, but has stuck to jazz guitar throughout his career. He gained a strong reputation during his long association with Buddy Rich. Since then, he has recorded as a sideman with Jack DeJohnette, Eddie Gomez, Phil Woods, Harvie Swartz, and the Brecker Brothers, among others. But it is his own recordings for Mainstream, Music Masters, CTI, and especially his pair of essential Chiaroscuro albums in 1977 (the single CD Merge reissued all of the music except one song) that allow one to hear what a talented player Jack Wilkins has always been.